The staff and students of Presentation Secondary School Warrenmount were honoured to welcome Tomi Reichental to our school yesterday, Thursday, 3rd May 2018. Tomi Reichental is a survivor of the Holocaust, having being imprisoned in Bergen-Belsen concentration camp in 1944. 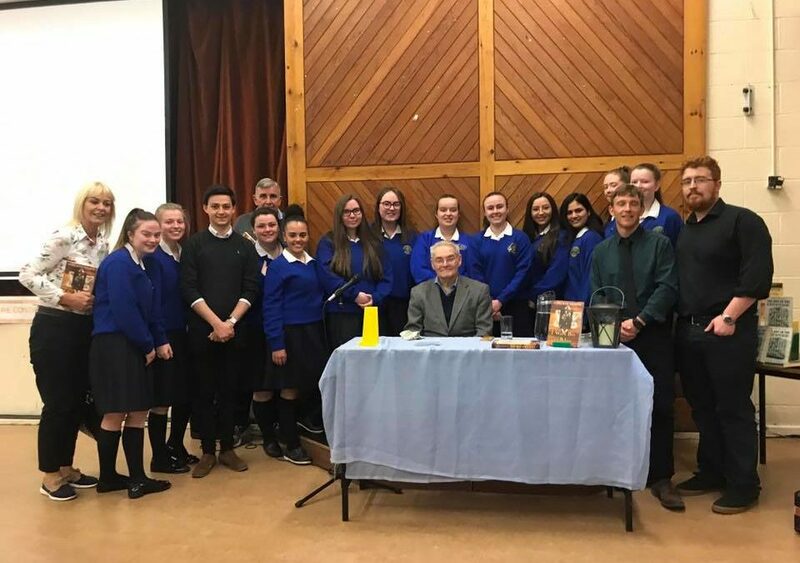 Mr. Reichental delivered a lecture on his experiences during World War 2 to a captive audience of senior students, History students, visiting students from Coláiste Eoin, Finglas and a gathering of past pupils and parents. The talk covered his early childhood in Slovakia and the inhuman process of being segregated as a Jewish person, hunted, rounded up and being deported to a concentration camp along with several members of his family. While detailing the atrocities of the past, Tomi also connected these historic events to current events; comparing the forced mass-migration of the Jewish diaspora across Europe in the 1930s to the current and on-going Syrian refugee crisis. It was a poignant, humbling and emotional experience to witness such an event of oral history, and Warrenmount was truly honoured to host such an inspirational gentleman as Tomi Reichental.